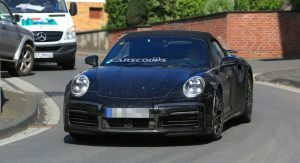 Porsche has been busy testing the all-new 911 Turbo for some time, yet until now, we’ve only gotten to see the Coupe model. 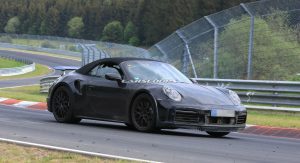 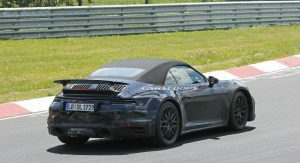 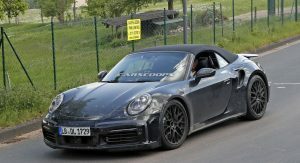 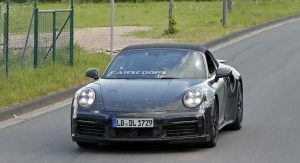 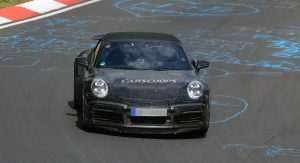 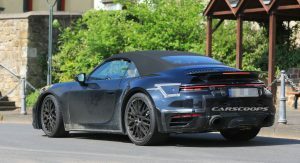 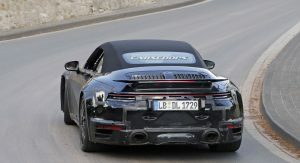 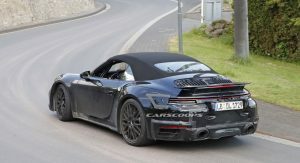 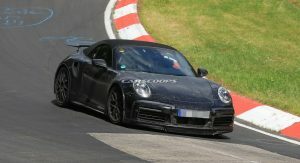 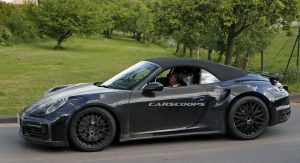 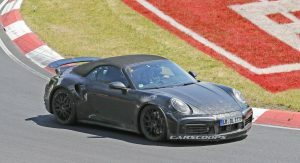 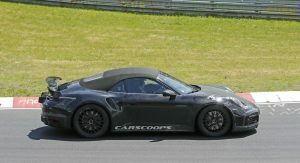 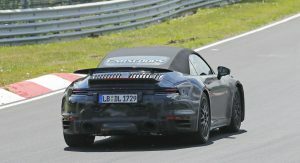 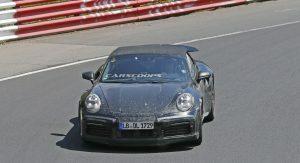 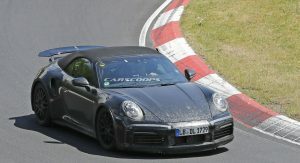 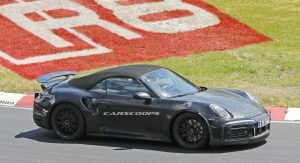 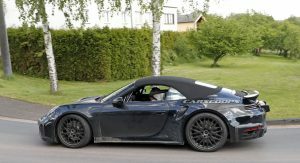 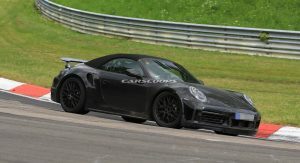 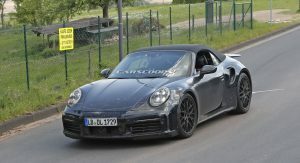 This here is the new 911 Turbo Cabriolet, boasting pretty much the same looks as the fixed-roof version, except for that retractable soft-top, which will give drivers a better view of the sky above, while also bringing them closer to the car’s twin-turbocharged six-cylinder unit and its undoubtedly sporty soundtrack. 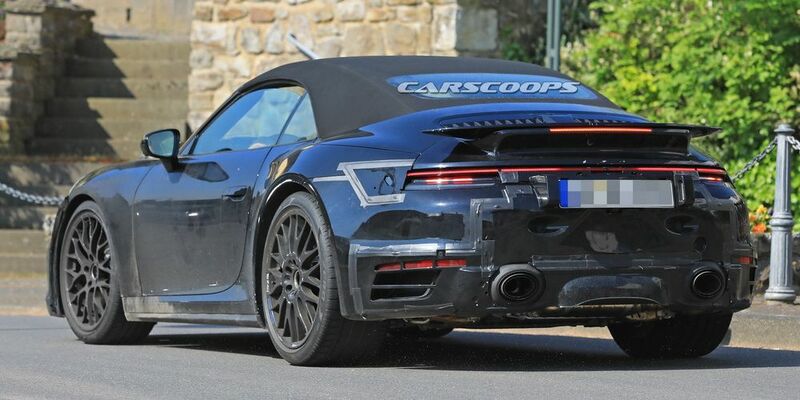 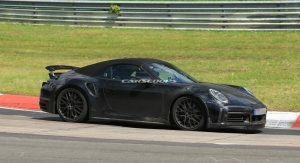 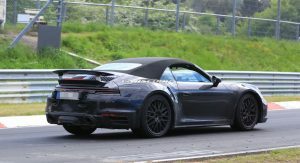 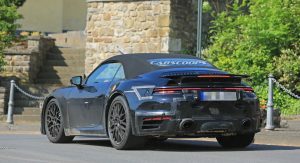 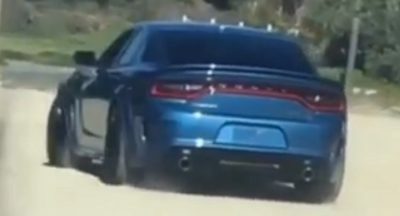 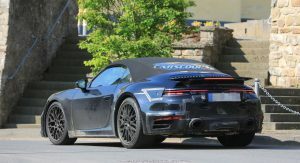 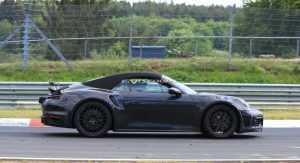 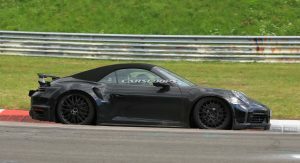 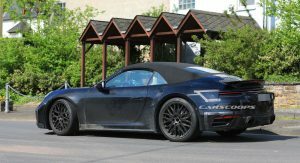 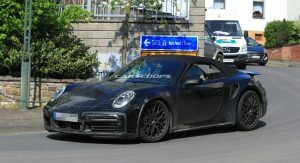 Visually, the car pretty much looks like all the other 911 Turbo prototypes spotted recently, except for the absence of squared quad exhaust pipes – instead, here we see dual round ones. 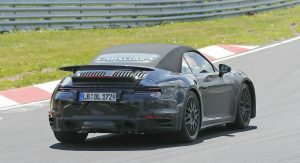 Other than that, the wider fenders are still there, as is the fixed, yet active rear wing. 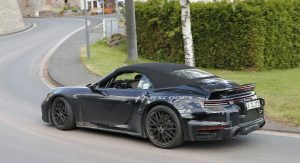 Judging by what we’ve seen from other, regular 911 (992) prototypes, the interior of the all-new 911 Turbo Cabrio should make Porsche’s convertible supercar one of the most modern vehicles in its segment. 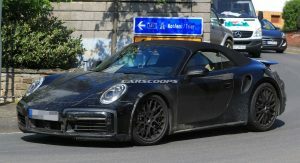 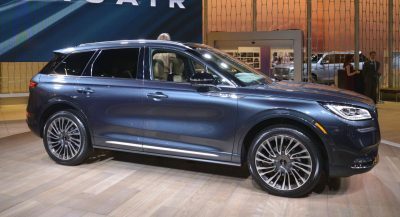 It will feature a widescreen infotainment display, though probably smaller than the Panamera’s 12.3-inch one. 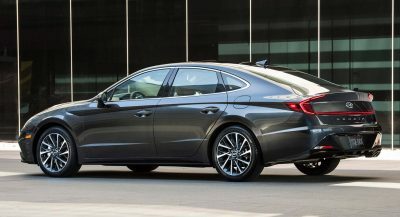 As for the dashboard design itself, it’s both simple and sporty, rocking a pair of central air vents positioned underneath the display. 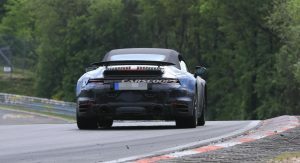 Beneath the 992’s metal will be an updated version of the automaker’s MMB platform, resulting in the new 911 having a wider track, which in turn will lead to improved stability at high speed. 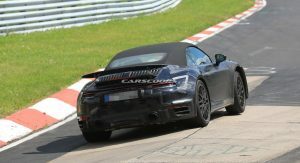 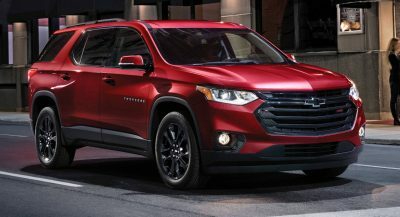 Power is said to come from a twin-turbo six-cylinder unit, sending around 600 HP to all four of the the new Turbo’s wheels. 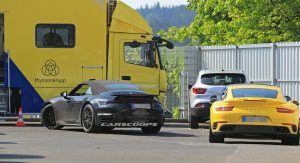 The flagship Turbo S version however is likely to have around 630 HP, possibly even more. 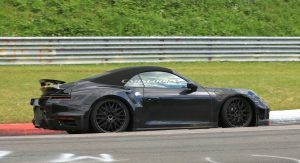 Since the current 911 Turbo Cabriolet can rocket to 100 km/h (62 mph) in just 3.1 seconds with 540 horses on tap, the new car could end up producing a sub 3-second time. 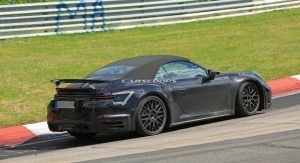 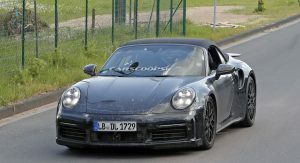 The next-generation Porsche 911 Turbo Cabriolet is believed to make its way into dealerships sometime next year, taking the fight to the likes of the Lamborghini Huracan Spyder and the Ferrari 488 Spider. 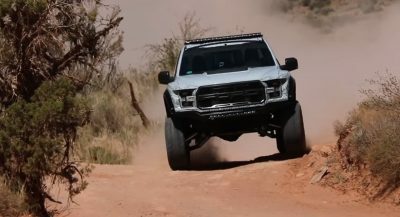 Photos like this kind of make you wonder if they pay people JUST to drive them around camo’d. 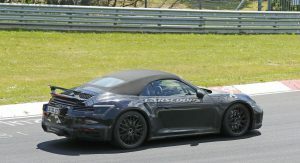 What could they be “testing” on the Cab model that hasn’t already been tested? 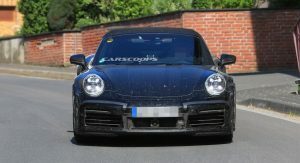 This HAS to be purely for buzz. 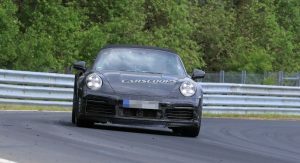 Testing the 911 Turbo Cabrio plug-in’s 700bhp capabilities before it’s launched a couple of years after the next 911.
tin foil is your friend. 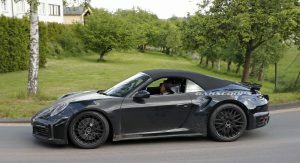 And looks as boring as usual.